Each bid increment is RM 2. So the next higher bid should be RM 26. Please change your bid if you're still interested. Congrats Jenny ! 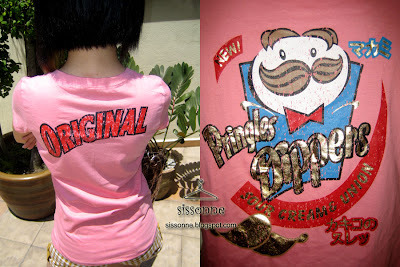 This limited Pringles vintage tee shall be yours for RM 32.